Cee Cee James was born as Christina James in the great fertile Northwest of Portland Oregon. When Cee Cee was five years old, her mother moved the family to California. By the age of 12, Cee Cee had put together her first band and performed at a local church. Throughout her formative years, she performed in a variety of rock/blues, cover/original bands. 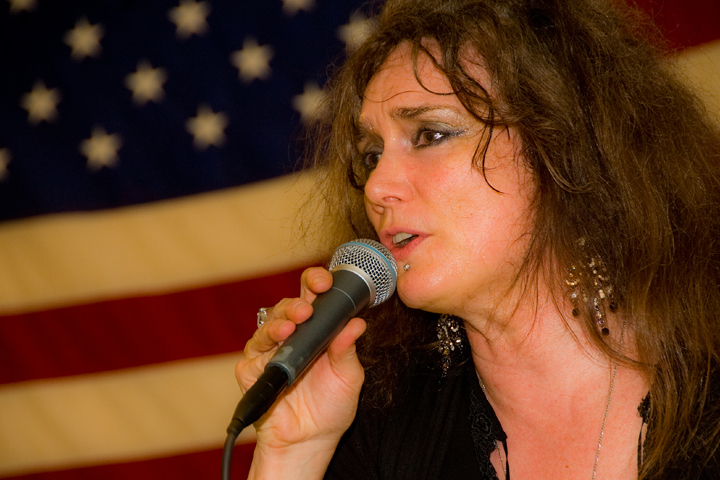 In the middle of the 1990s, she formed her first original blues band, Stone Blue in San Diego. By the late 90s, she'd recorded song demos in San Diego and Los Angeles. Cee Cee honed and sharpened her production, arranging skills and talents as she wrote and recorded her highly touted late 1999 pop/funk release “SPIRITUALLY WET,” where she worked side by side with Los Angeles based producer Kaylene Peoples and mixing engineer Rich Mouser. "SPIRITUALLY WET" won her recognition and the 2000 Los Angeles R&B Independent Artist of the Year Award. In December of 2004, following a sad divorce in 2001 and the loss of her second partner to cancer in earlier that year, Cee Cee bid farewell to her long time Southern California musicians, sold her house and returned to her roots in Portland. By April of 2005, she'd put a strong band of stellar Portland musicians together who very quickly began to perform in some of the best blues clubs Portland had to offer. Cee Cee had her eye on a new CD project, “LOW DOWN WHERE THE SNAKES CRAWL”. However, the studio sessions remained just outside of Cee Cee's reach until after she moved again, even further North into Washington State, with even more changes awaited her. “LOW DOWN WHERE THE SNAKES CRAWL” began to take shape then, and in late 2007, the studio sessions were finally a reality. The changes in her life were instrumental in the birth of this album and a new yet retro sound. Much like the moist green Northwest where she was born and had now returned home to, “LOW DOWN WHERE THE SNAKES CRAWL” is rich and full of soul provoking lyrics set into contemporary roots and blues based musical landscapes inspired by Rob “Slideboy” Andrews, Cee Cee's songwriting partner and husband. Cee Cee’s soul and artistic influences are all over the map. “Raw and Real,” is her criteria. “Out of the box," as she calls it. “Performances, music and lyrics that push the envelope of the soul straight down into the gut of life.” Howling Wolf, Big Mamma Thornton, Janis Joplin, Joe Cocker, Stevie Ray Vaughan, Steve Marriott; then dippin’ into the soul of things - Mavis Staples, Ike and Tina Turner, Bill Withers, Ray LaMontagne, Chris Whitley; and of course the funk - James Brown, Prince and everything in-between. Cee Cee feels them all and it’s obvious in her ‘low down and gritty’ performances where as she says, “My thing is...in all my writing, singing and performance is to make the songs come alive for people. To open up the mind, heart and soul with the fire of an intense gut wrenching performance full of vulnerability, honesty and truth. What else am I up on that stage for?" In May 2010, Cee Cee released "SERIOUSLY RAW - Cee Cee James - LIVE AT SUNBANKS," through FWG Records, specifically for her fans. a CD like this for years! So I'm thrilled to release this CD for them." In February 2011, Cee Cee completed her first triumphant tour into France, The Netherlands, Holland and Germany. In early December 2011, she'll return to the studio with Jim Gaines Grammy Award Winning Producer of Stevie Ray Vaughan, Luther Allison, Neville Brothers, and many more, to record her next CD full of originals. bravado in her writing and her performances. Expect CEE CEE JAMES to be around for a LONG TIME. Read about Cee Cee James's song, "Someday I'll Be Going Home."